Give a high-end impact to your occasional look with this stunning ladies court shoe. 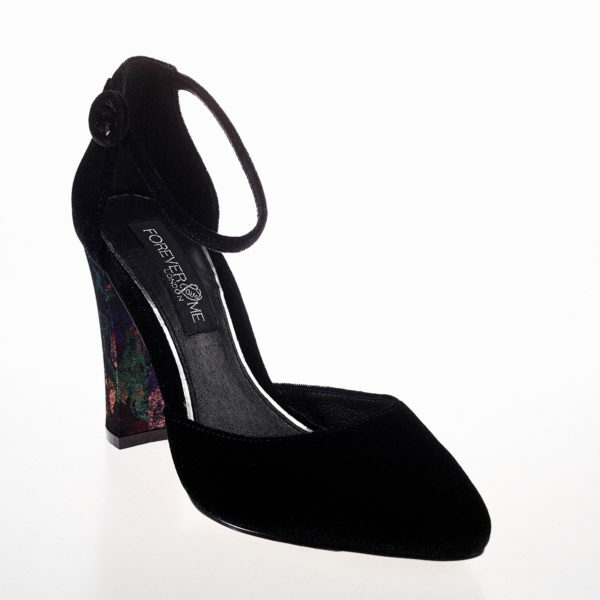 A two part design, this open side court shoe features a sumptuous midnight blue velvet upper, a sophisticated rounded toe and a chunky high heel featuring a beautiful floral design. Team with your favourite dress to complete your look this party season. Millie is also available in Mid Night Blue velvet. Faux Fur lining Leather Lace Up Calf boot.